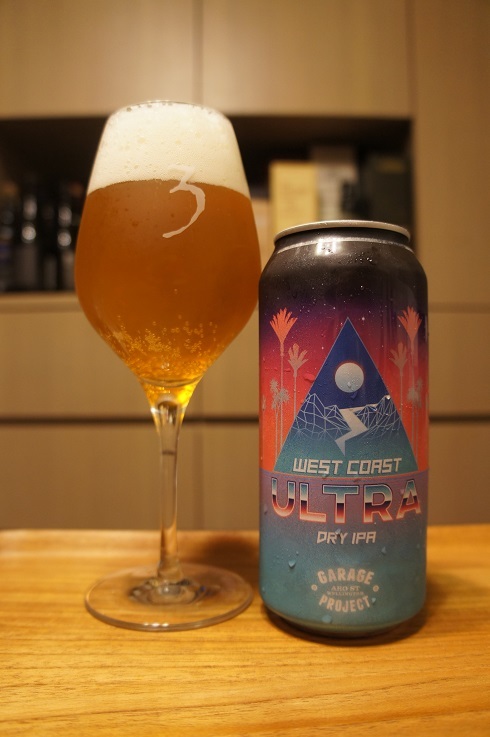 Brewer Description: (from can) Beyond The Pale, our yearly celebration of New Zealand’s fabulous fringe festival and the perfect excuse to brew something a little ‘out there’… even a little bizzare. 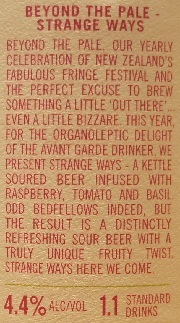 This year, for the organoleptic delight of the avant garde drinker, we present Strange Ways – a kettle soured beer infused with raspberry, tomato and basil. Odd bedfellows indeed, but the result is a distinctly refreshing sour beer with a truly unique fruity twist. Strange Ways here we come. Intro: A 330ml can, with a best before date of 27th November 2018. Poured into a Lost Abbey teku glass. Appearance: A hazy pale orange pinkish colour with a two finger very slightly off white head that dissipated fairly quickly but left some nice lacing. Aroma: Tart raspberries with maybe a hint of tomato. 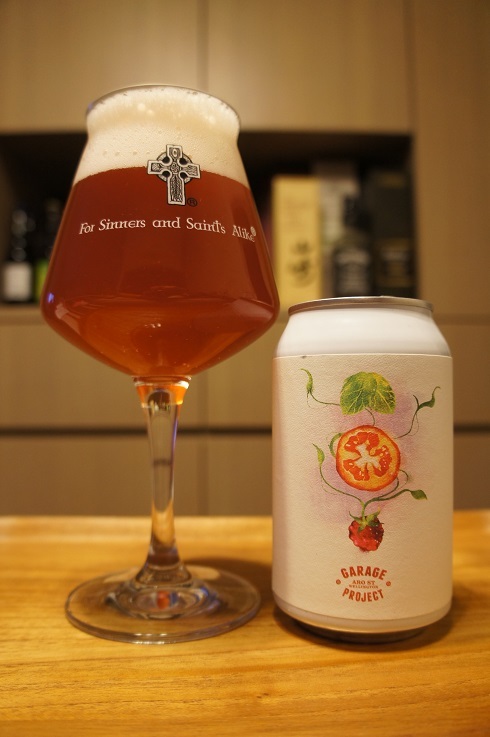 Taste: Sour, tart, raspberry and lemon juice with a touch of tomato juice at the end. 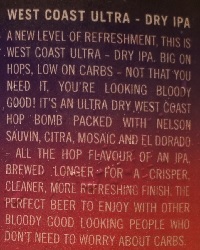 Mouthfeel: Crisp, light bodied with high carbonation. 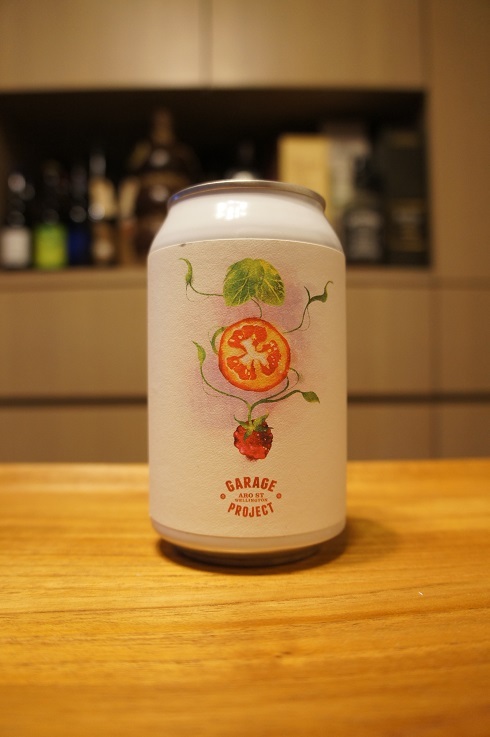 Overall: Refreshing and very easy to drink with nice fruity flavours. 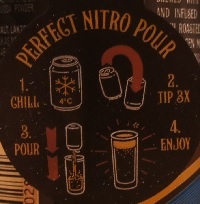 Carbonation might be a bit too high, but not a big problem. I’m only getting hints of the tomato but none of the basil, which was unfortunate since raspberry and basil is a good combo. 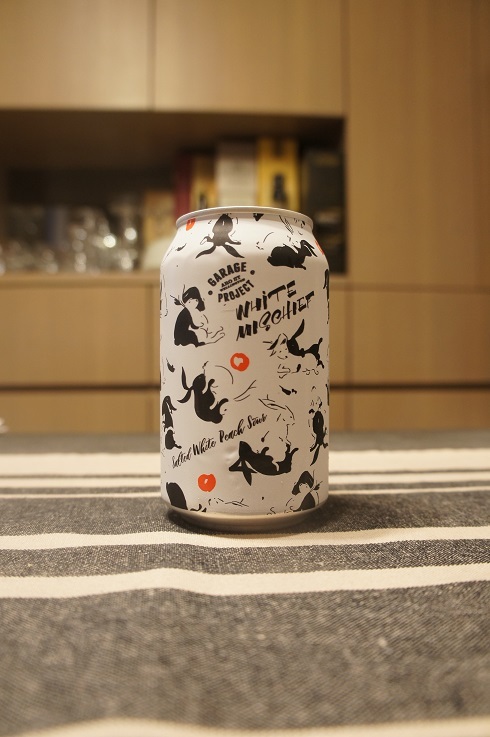 Brewer Description: (from can) Kettle soured wheat, lightly salted and infused with white peaches – a delicate three way salty, sweet and sour balancing act. 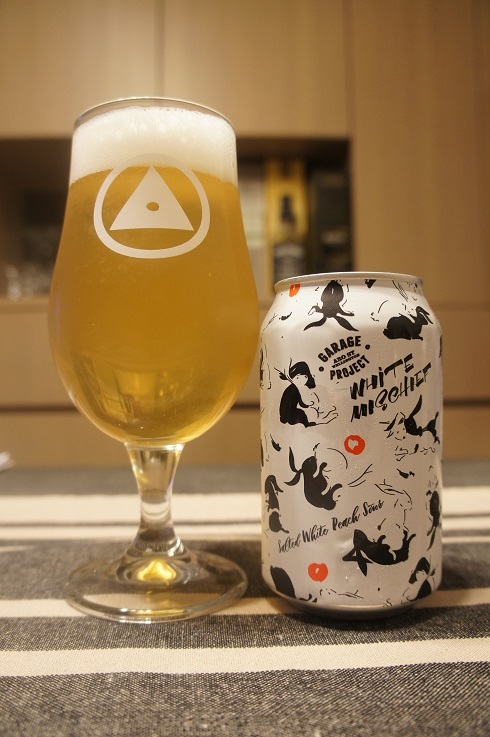 A little bit of white mischief in a beer where anything gose. 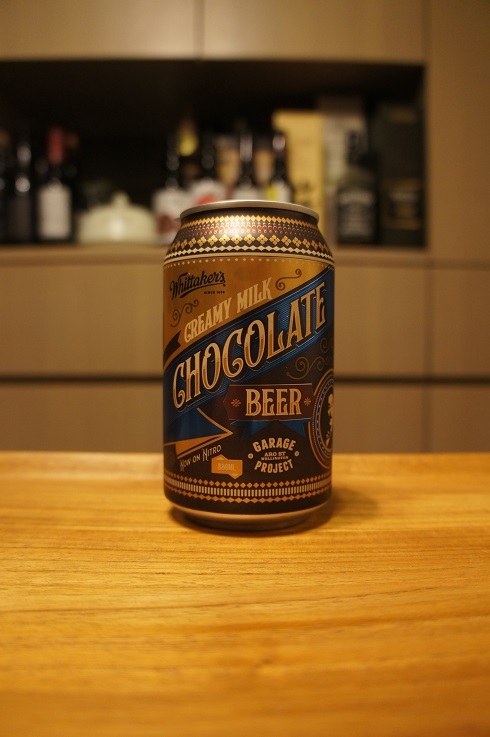 Brewed for Burger Wellington 2015. Intro: A 330ml can with a best before date of 5th July 2018. Poured into a Holy Mountain tulip glass. Appearance: A mostly clear golden colour with a just over one finger white head that dissipated fairly quickly and left pretty much no lacing. Aroma: Strong aroma of peaches and sour peach gummy candy with a hint of lemon. Taste: Tart sour peach, a hint of salt and some wheat of the finish. 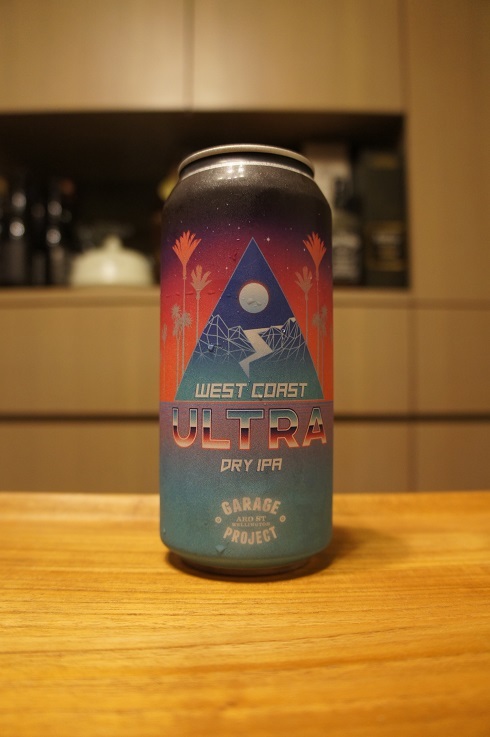 Overall: Light, refreshing and thirst quenching with its low ABV. 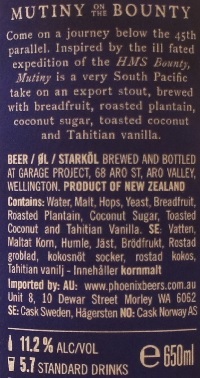 Brewer Description: (from bottle) Come on a journey below the 45th parallel. 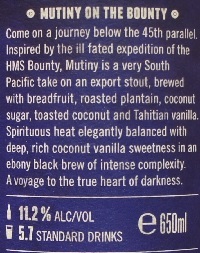 Inspired by the ill fated expedition of the HMS Bounty, Mutiny is a very South Pacific take on an export stout, brewed with breadfruit, roasted plantain, coconut sugar, toasted coconut and Tahitian vanilla. Spirituous heat elegantly balanced with deep, rich coconut vanilla sweetness in an ebony black brew of intense complexity. A voyage to the true heart of darkness. 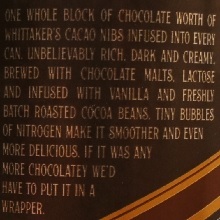 Intro: A 650ml bottle with no clear bottled on or best before date. Poured into a snifter glass. Appearance: Black in colour with a just over one finger tanned head that had decent retention and left some spotty lacing. Aroma: Vanilla, coconut, roasted malts, chocolate, biscuit, bread and banana. 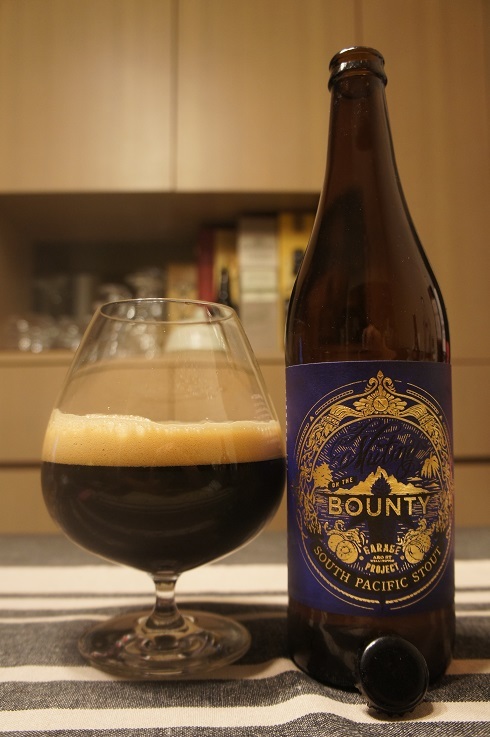 Taste: Roasted malts, sweet and creamy milk chocolate and vanilla, a touch of bitter dark chocolate and toasted coconut with hints of dark fruit and nuttiness. 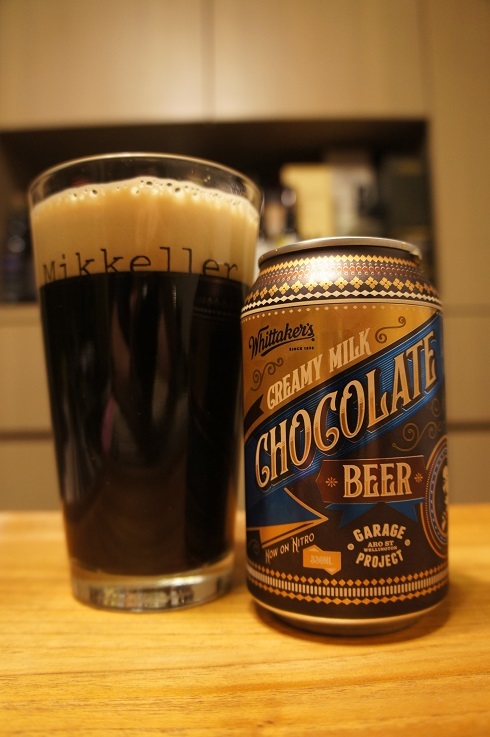 Mouthfeel: Creamy, full bodied, light booze and low carbonation. 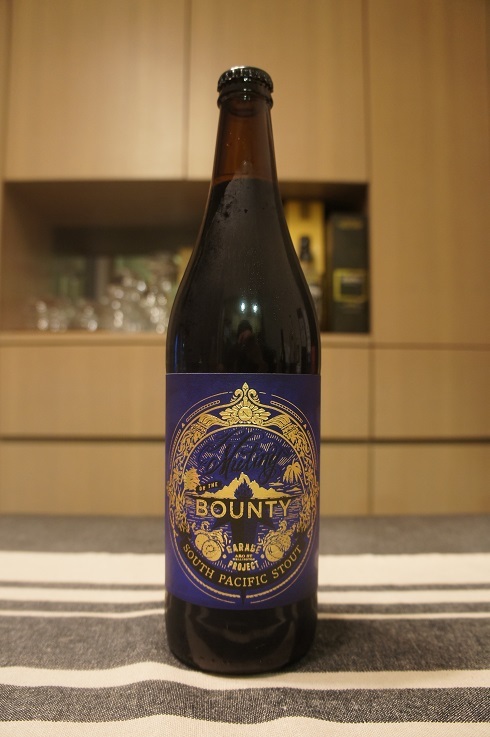 Overall: A very nice self described Export Stout. Breadfruit was used in the description, but I have no idea what this is meant to taste like. 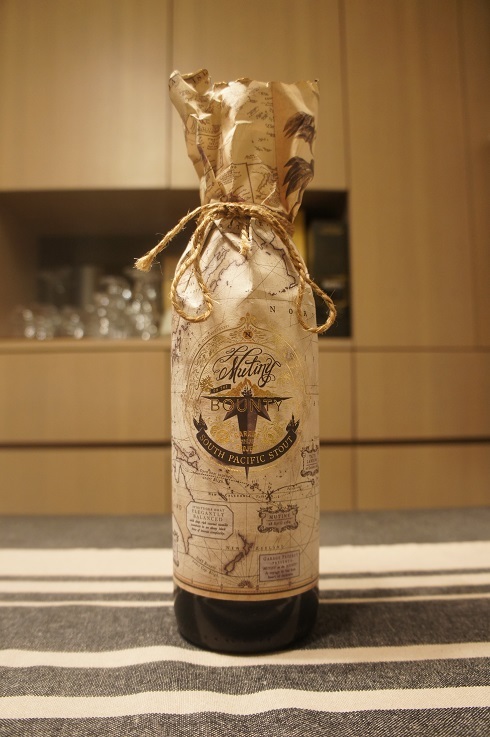 Nevertheless, this is a great sipper for a cold night.